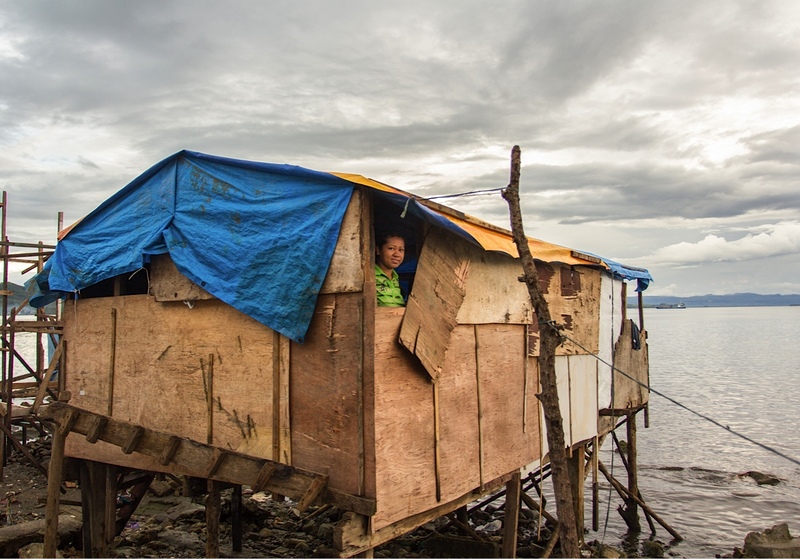 Several months after Typhoon Haiyan (known as Typhoon Yolanda in the Philippines) devastated a number of Philippine provinces, leaving more than 6000 dead and roughly 6 million displaced, photojournalist Herman Lumanog visited the affected region for The Diplomat. He reports that even though people there might be without roofs or even homes, there are not without hope. 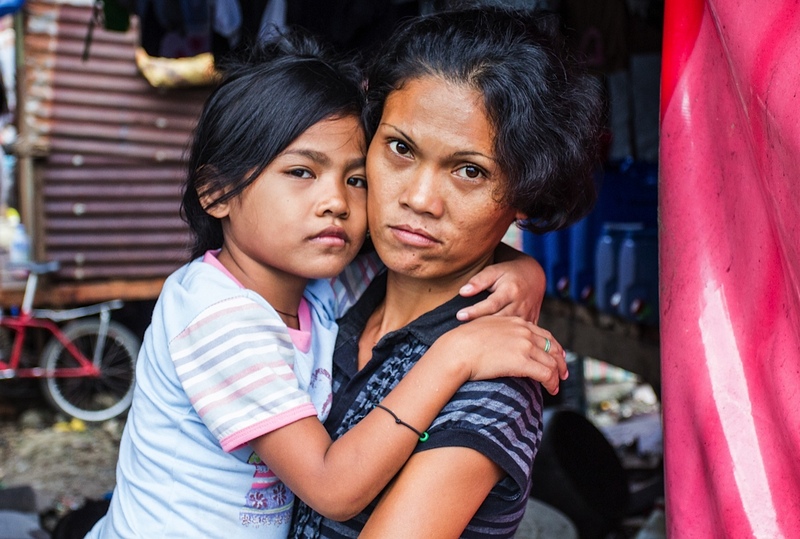 Mother and daughter survivors of Typhoon Haiyan in Barangay Anibong, Tacloban City. 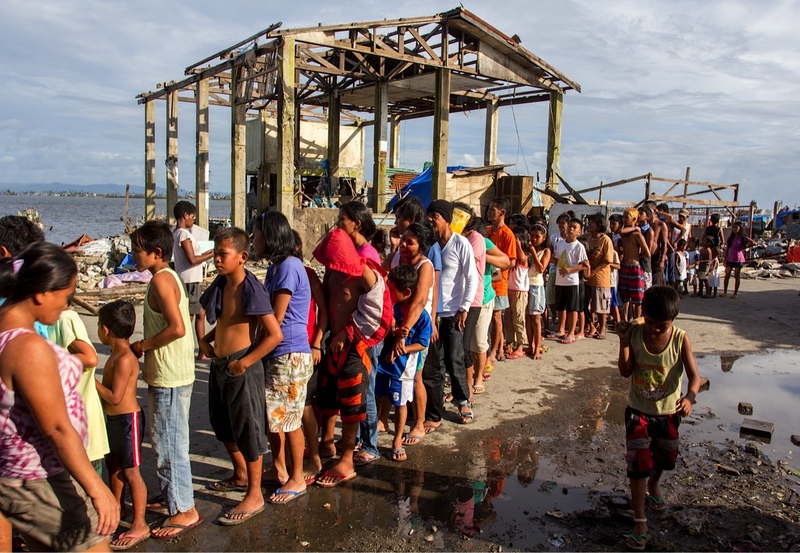 Survivors of Typhoon Haiyan line up for food in Barangay Magallanes, Tacloban City, the remains of a house in the background. 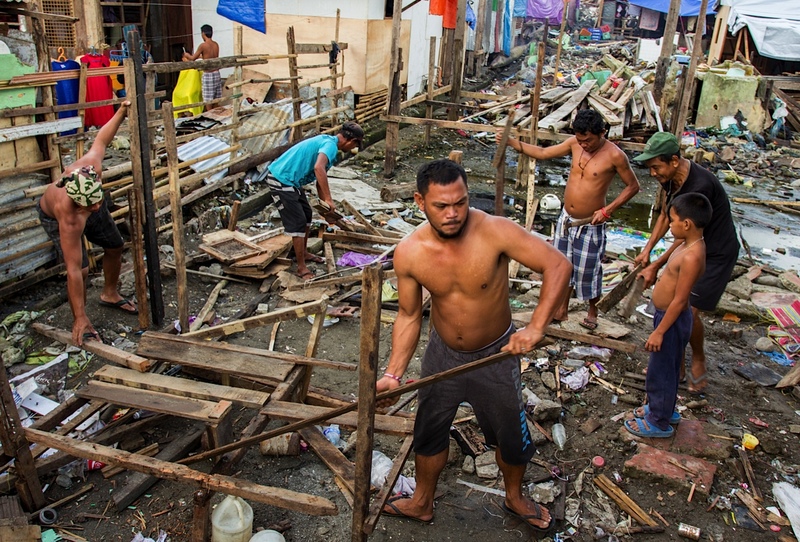 People work to erect a temporary shelter on the site of what was their house, in Barangay Anibong, Tacloban City. 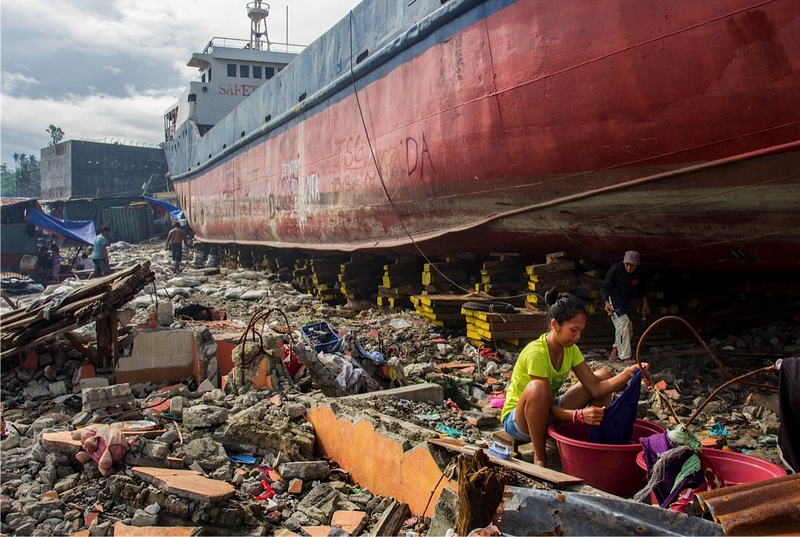 A woman continues with her daily chores besides one of the ships that were washed ashore in Barangay Anibong, Tacloban City. 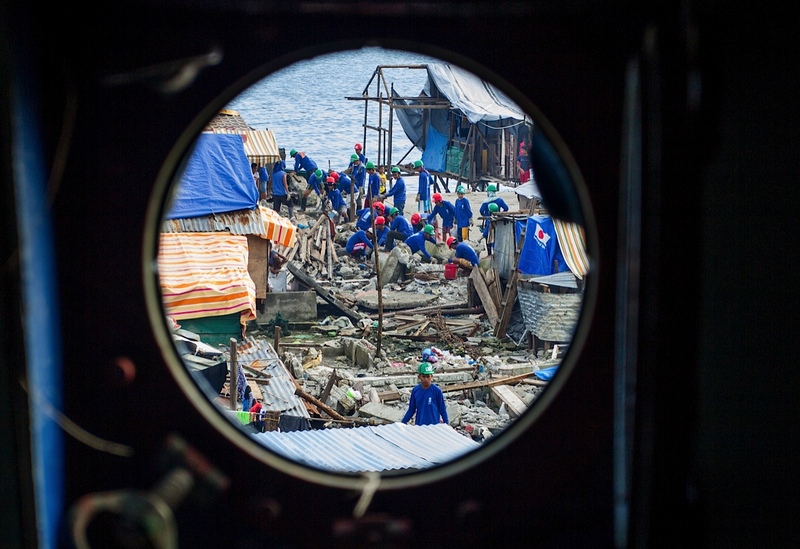 A typhoon survivor smiles from the window of her temporary house in Barangay Anibong, Tacloban City. 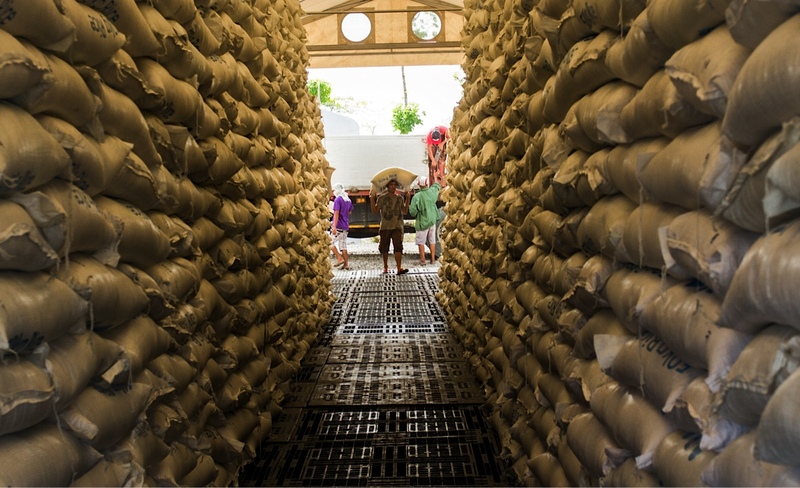 A worker carries a sack of rice on his head inside one of the UN World Food Programme tents in Tacloban City. 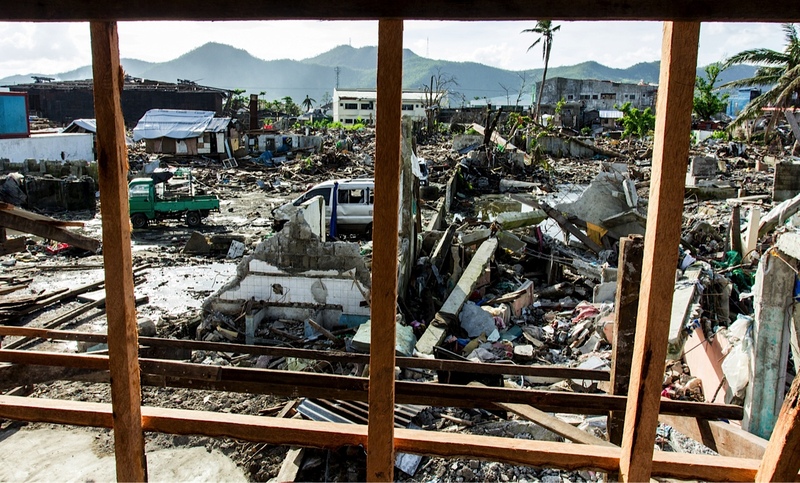 Local workers for the UN Development Programme provide assistance in one of the severely devastated parts of Barangay Anibong, Tacloban City. 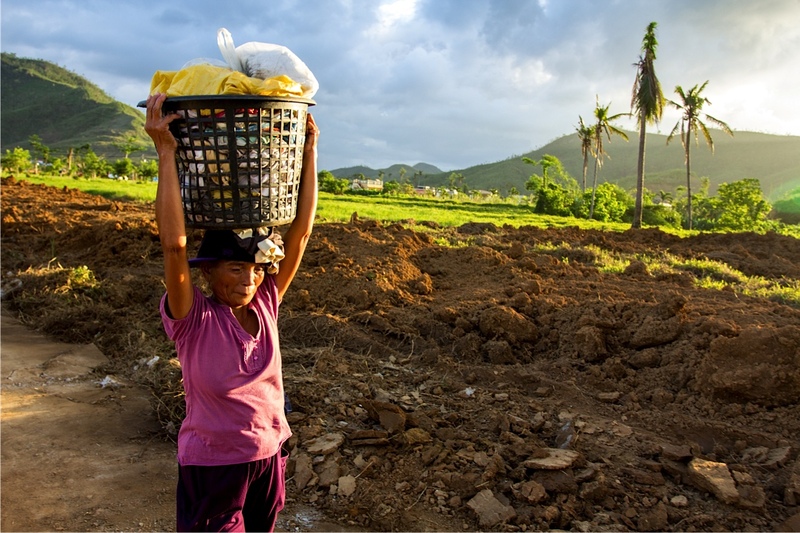 A woman carries her washed as she passes by a mass grave where 200 victims of Typhoon Haiyan are buried, along the roadside of Holy Cross Cemetery in Diit Village, Tacloban City. 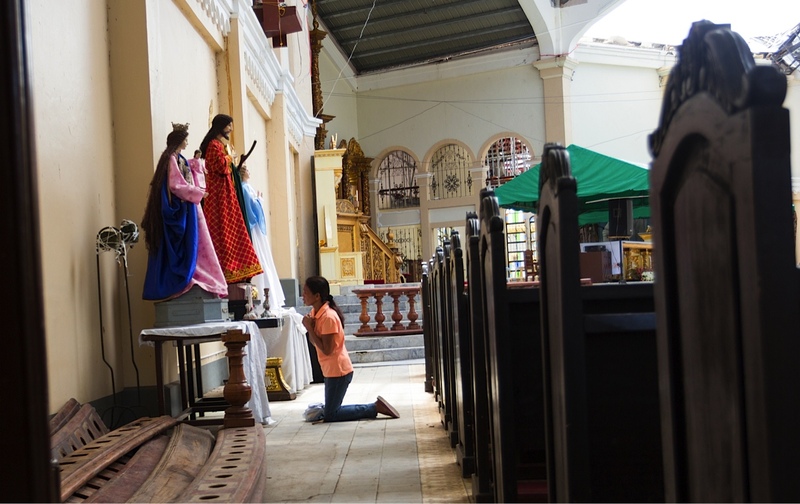 A woman prays inside the Palo Catholic Church in front of a statue of Jesus and Mary in Palo, Tacloban City. 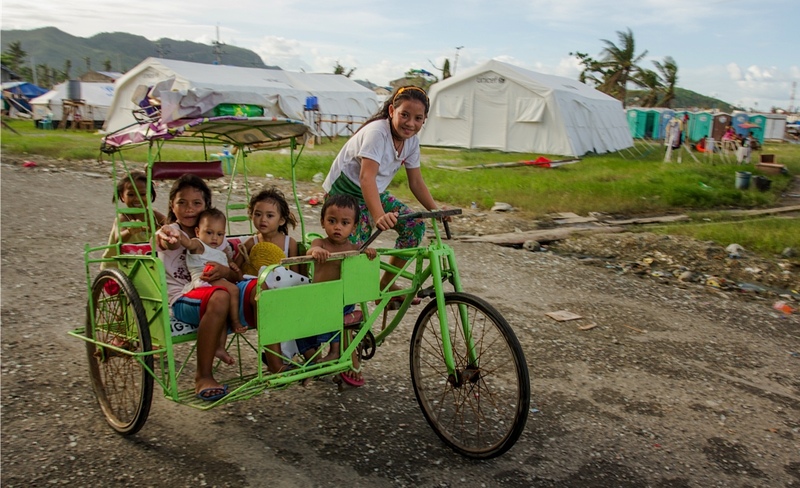 Children who survived the wrath of Typhoon Haiyan enjoy their afternoon at their temporary shelter at Tacloban City, Philippines.